It is emotionally draining to watch your loved one with Alzheimer’s slowly fade away, helpless to change the outcome. Show Up, Don’t Give Up! Although Alzheimer’s affects individuals differently, there are irrefutable common threads. One of the most disturbing outcomes is when the individual no longer “knows” their loved ones. Indeed they may reach a point when they can’t “say” the name of their family member, but they probably still “know” them. Mom’s recovery from surgery was painfully slow. Her first audible words didn’t come (for days). “That feels good,” she mumbled when I rubbed lotion on her face, but her voice was raspy and weak. “How do you handle it?” Mom’s nurse for the day, Carol, asked me. “Handle what?” I honestly didn’t know what she was referring to. Unbeknownst to me, Carol had overheard me on several occasions ask my mom who I was. Mom’s responses had been either absent or inaudible. Carol offered that her father had early-onset Alzheimer’s and that his not recognizing her was the worst part of the disease. It was my biggest nightmare too. Mom had known me, but since her surgery, I hadn’t gotten anything. The next day, after applying lotion to Mom’s pitifully dry skin, I tried again to jump-start her recollection of my familiar face. This time, however, when I asked Mom who I was, she finally answered, “Elaine.” I smiled and was reminded of Carol’s question just the day before. So far, anyway, I was still accessible to her fleeting and failing memory. It is emotionally draining to watch your loved one with Alzheimer’s slowly fade away, helpless to change the outcome. There is very little validation or reward for you from them. As painful as their blank stare, mumbling, or “who are you” is to experience or hear, having a better understanding of the disease process and why this occurs, is critical to acceptance and continuing to visit. Alzheimer’s is a very real neurological disease! In one way or another our brain controls and/or coordinates absolutely everything we do! Tragically, as with virtually every neurological disorder, language is adversely affected by Alzheimer’s. Meaningful verbalization wanes dramatically as Alzheimer’s progresses, sometimes to virtual silence. 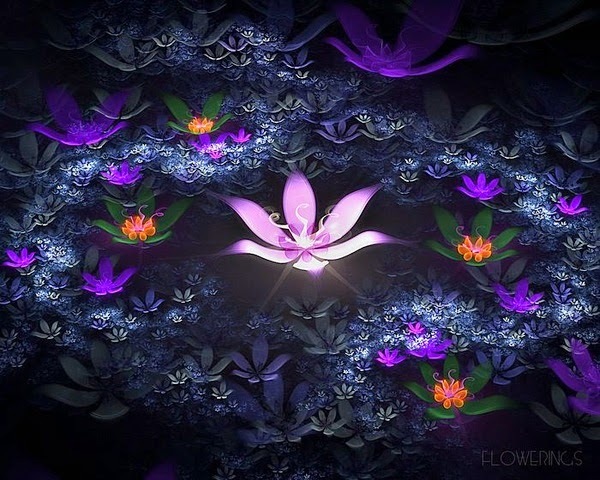 Although Alzheimer’s may rob a person of their voice, not every mechanism of awareness and expression is destroyed. Other forms of communication are still viable and vital. Then slowly, subtly, a very distinct, bright glimmer of awareness came over Mom. She sat up, leaned forward, and looked purposefully at Christie (her granddaughter) with Lillian (great granddaughter) sitting on her lap. Mom’s piercing blue eyes had not shown so brightly for some time … There was absolutely no doubt that my mom recognized Christie or, at the very least, knew Christie was an important person to her. It’s not easy. It’s not always enjoyable and it’s certainly not always validating to show up to visit your loved one with Alzheimer’s, but don’t give up. Their mumbled speech may be the only verbalization they still have, so make better eye contact. Their flailing arm movements may be more purposeful if you engage them with family photos. 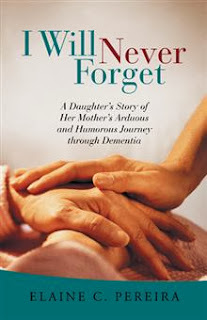 Elaine C Pereira, is the Award Winning author of the Best Selling memoir, I will Never Forget: A Daughter's Story of Her Mother's Arduous and Humorous Journey Through Dementia.